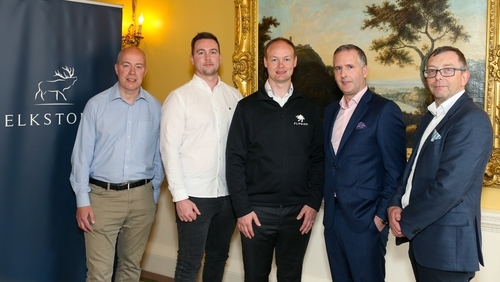 Dublin based multi-family office Elkstone will lead a €2m fund for Ireland's leading online ordering platform, Flipdish. In the last 12 months, Flipdish has seen significant growth doubling its eight person team to 20 and reaching almost €3m in funding. The Dublin based startup was launched in 2015 and includes an app and website for the restaurant and takeaway market. Flipdish's platform and data allows restaurants to improve their business with knowledge of customers' purchases and behaviours. Compared to third party aggregators, Flipdish operates at a fraction of such costs and does not take customers away with high fees to process orders. Centra, Chopped, Macari's, Base Wood Fired Pizza, Londis, MAO, Bombay Pantry, and others are Flipdish clients. Over 500 restaurants in Ireland use Flipdish and the company has the potential to reach 4,000. In the UK, Flipdish has 100 restaurants using its platform with the potential to reach 40,000 in the UK and 700,000 stores across Europe. Flipdish CEO Conor McCarthy stated, "This investment will make significant improvements to the existing Flipdish product. Wwe want to provide every restaurant in Europe with the tools and opportunity to excel online and remove the need to rely on costly food portals."